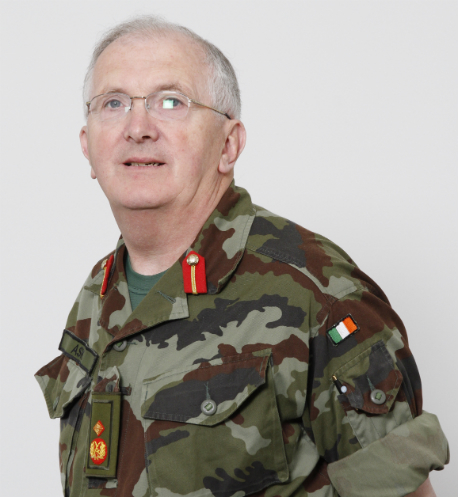 Major Geneneral Dave Ashe, Deputy Chief of Staff (Support), retires from the Defence Forces on 19 September. General Ashe's retirement presentation will take place in Ceannt Officers' Mess, Defence Forces Training Centre, Curragh, on Thursday 15 September 2011 at 1600 hours. ARCO members who wish to be associated with the presentation are requested to forward their subscriptions (12 euro suggested) to the Mess Secretary, Ceannt Officers' Mess, DFTC, Curragh by 09 September. The association has received the following communication: The family of the late Comdt. Patrick O'Shea deeply appreciate and will always hold in grateful remembrance your kind expression of sympathy with them in their sad loss. The Holy sacrifice of the Mass has been offered for your intentions.